I was a little worried at first that these chocolates might be hollow, like the bigger egg, but was relieved to discover they were filled with a spiced truffle. The filling is darker in colour, but the coating is a milk chocolate, with a white chocolate decoration creating the criss-cross on top. The milk chocolate is quite thick, and feels substantial when you bite in. The centre is lovely and silky and rich in texture too, but you’d expect no less from Thorntons. 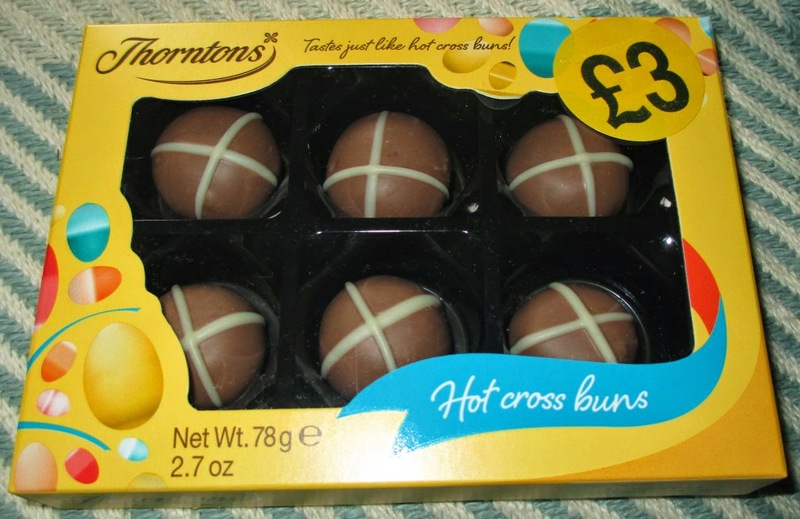 I wonder how these compare to Hotel Chocolat's hot cross bun chocolates!